‘Battlestar Galactica’ Stars: Where Are They Now? 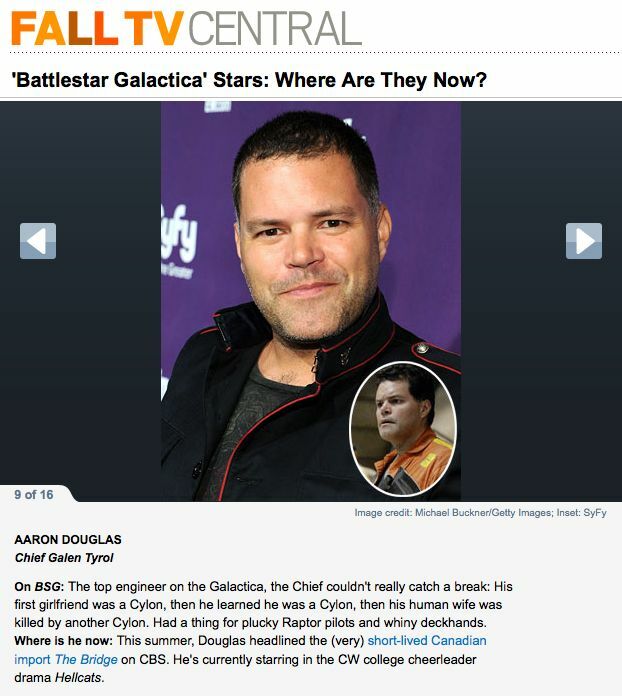 Entertainment Weekly have posted a list of ‘Battlestar Galactica’ Stars: Where Are They Now? In the list is Eddie, Mary, Jamie Bamber, James Callis, Tricia, Grace, Katee, Michael Hogan, Aaron, Tahmoh, Trucco, Lucy Lawless, Kate Vernon, AJ and Kandyse.